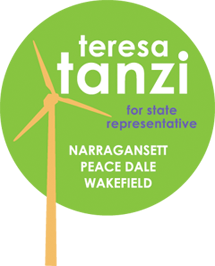 I was surprised to read Barbara Tetzner’s letter to the editor, (“Candidate’s spouse is off-limits,” South County Independent, Oct. 9) in which she objected to being mentioned in a fundraising invitation for Representative Teresa Tanzi (D-District 34) of Narragansett, Wakefield and Peace Dale, that I sent to a small group of friends. To be clear, I am not an employee or spokesperson for Tanzi’s campaign, just a Rhode Islander who’s been continuously impressed by her passion and integrity. Tetzner felt she should not be part of the public discussion surrounding her husband’s campaign, because someone shouldn’t assume that she is in lockstep agreement with her husband. Of course, this is true but I was making no assumptions at all. In fact, it is a matter of public record that both Barbara Tetzner and her husband, Stephen, have taken actions that I believe are inappropriate and that display extreme views on guns. According to public state campaign finance filings, last year Mrs. Tetzner donated $1,200 of ammunition to a Rhode Island Republican Party fundraiser as a raffle item, alongside an AR-15 semi-automatic rifle that her husband donated. At the time, I was appalled the Republican Party would be so callous in its fundraising efforts, particularly following so closely on the heels of the tragic shooting in Newtown, Connecticut, in which a similar AR-15 rifle was used to kill 26 people at Sandy Hook Elementary School. Whatever your opinion on gun control might be, raffling off an assault rifle for political gain is irresponsible. In my opinion, those extreme views do not belong in the General Assembly. That is one of the many reasons I am proud to support Teresa Tanzi for state representative. She has proven to be one of the most effective and committed legislators in the General Assembly, and I know she will keep working hard to protect our neighborhoods, support our schools, clean up our environment, fight for cleaner government and level the playing field for our small businesses.